Preheat oven to 425ºF. Lightly coat a rimmed baking sheet with cooking spray. Spread chickpeas on baking sheet and sprinkle with garlic powder, red pepper and seasoned salt; toss to coat. Roast on bottom rack of oven, shaking pan about every 15 minutes, until browned and slightly crunchy, about 45 to 50 minutes. (The chickpeas will still be somewhat soft. Cook longer for desired texture.) Cool before serving. Yields about 1/2 cup per serving. 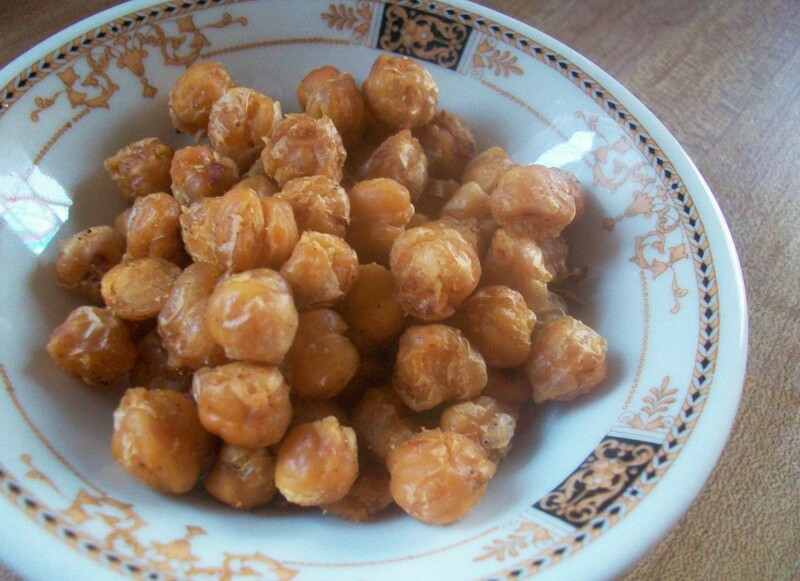 This entry was posted in Recipes, Snacks and Appetizers, Weight Watchers Low Calorie Low Points and tagged chickpeas, healthy, high fiber, roasted, snack. Bookmark the permalink. I joined WW 3 weeks ago. I like the program and the recipes. Thanks for another! Hope it will help balance the Holidays! This looks like a great snack. You are so smart to start counting points this time of the year. I always gain weight from now until after Christmas. Have a good weekend.